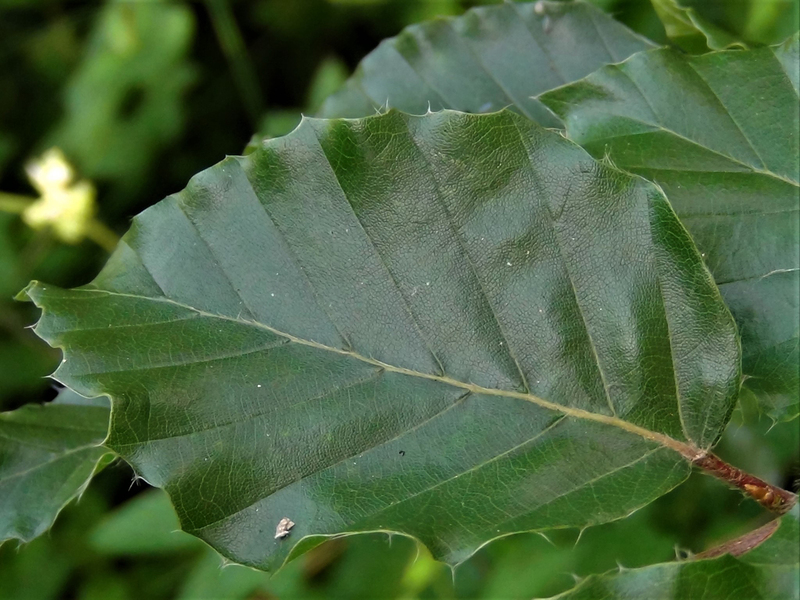 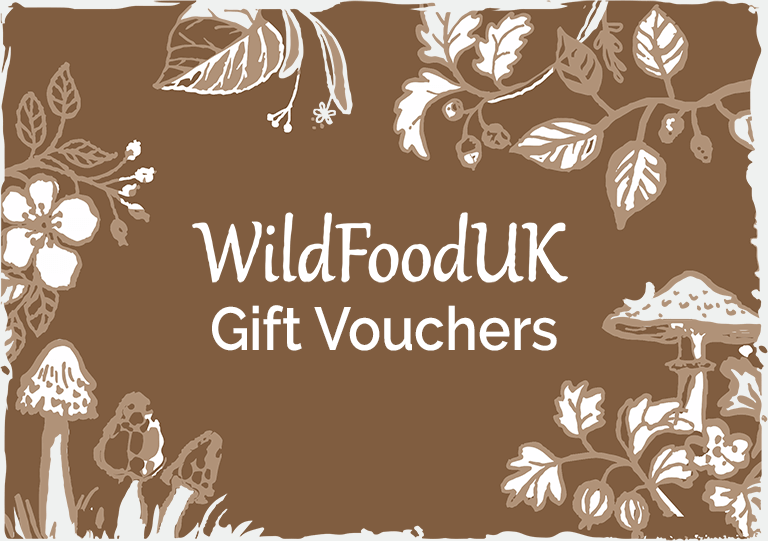 Young beech leaves are great for a salad or turning into beech leaf noyau. 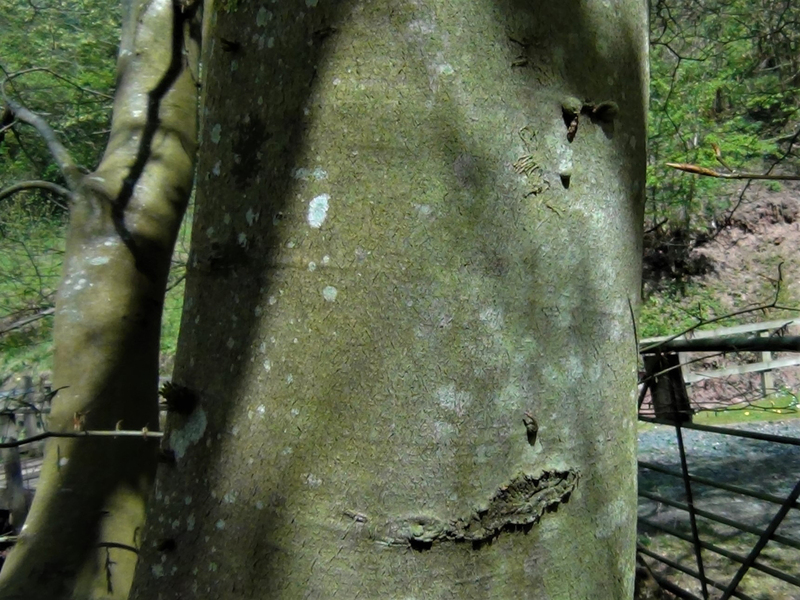 Beech trees, in the right conditions, can grow into large, old, majestic trees over 40 metres high. 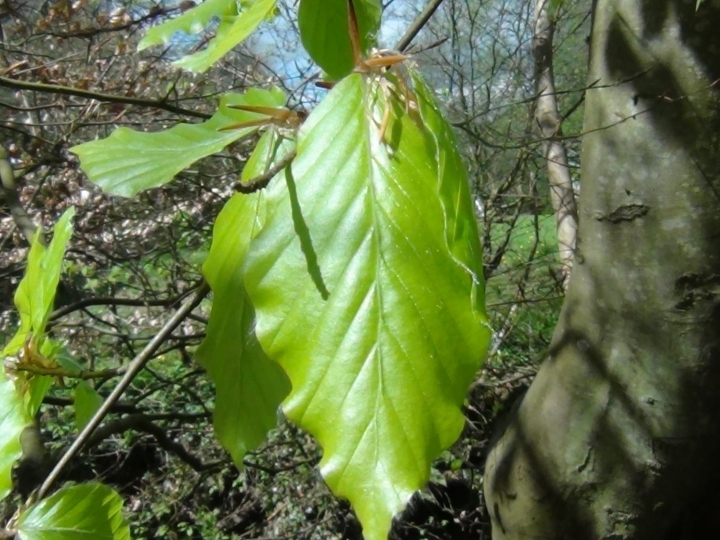 Pointed oval green leaves with a lightly toothed or wavy margin developing as the leaf matures. 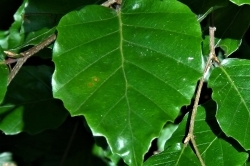 Young leaves have small hairs on the edges and underside which it looses with maturity. 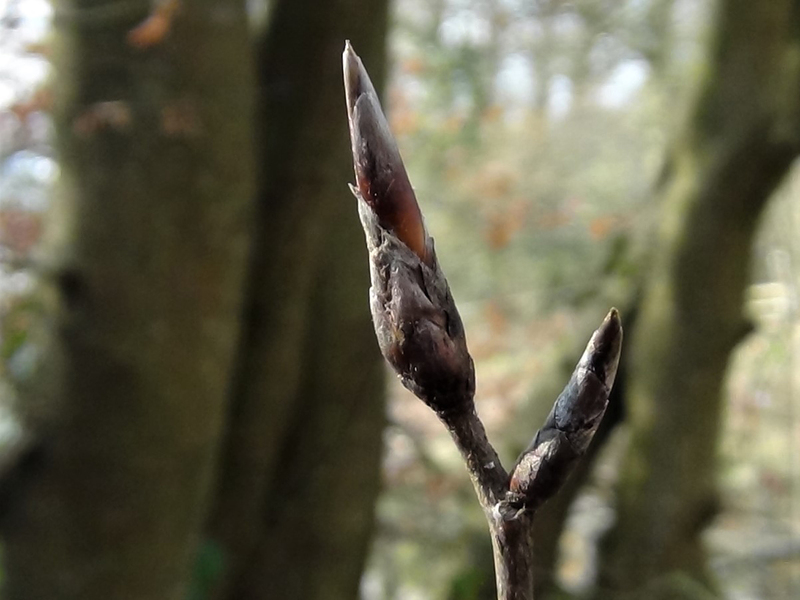 The dead leaves can remain on the tree until Spring. 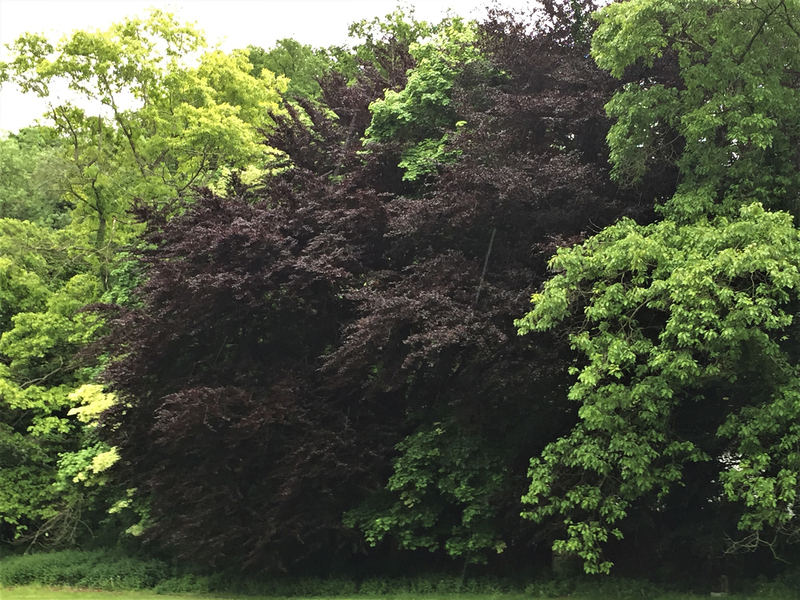 The Copper Beech, Fagus sylvatica var. 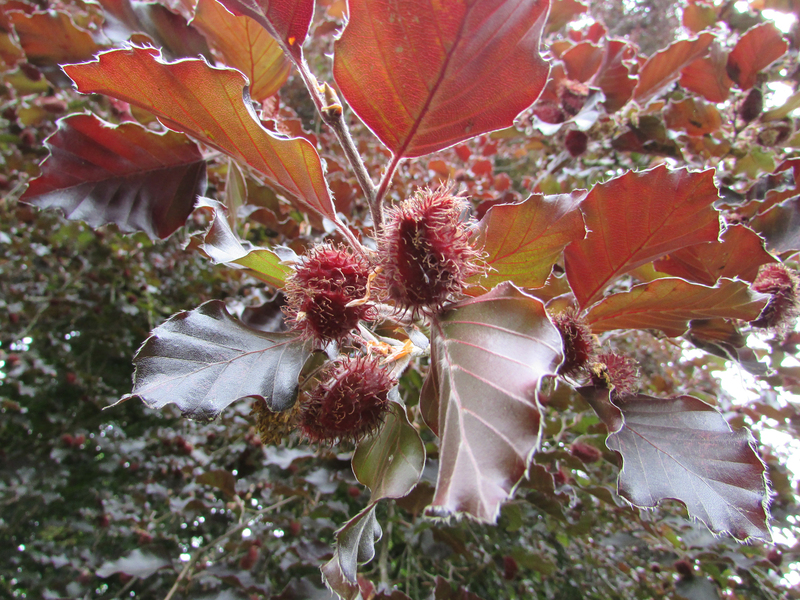 purpurea, has red to purple leaves and is a natural variant on the common Beech. 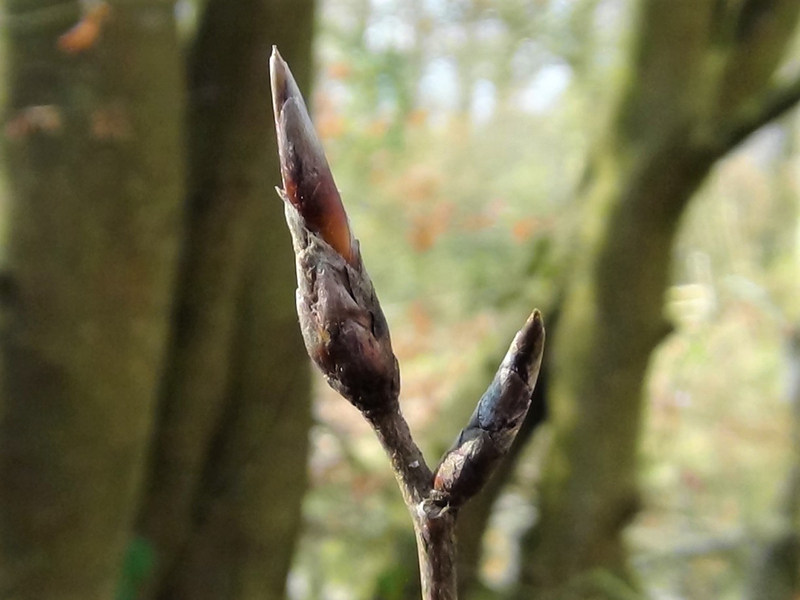 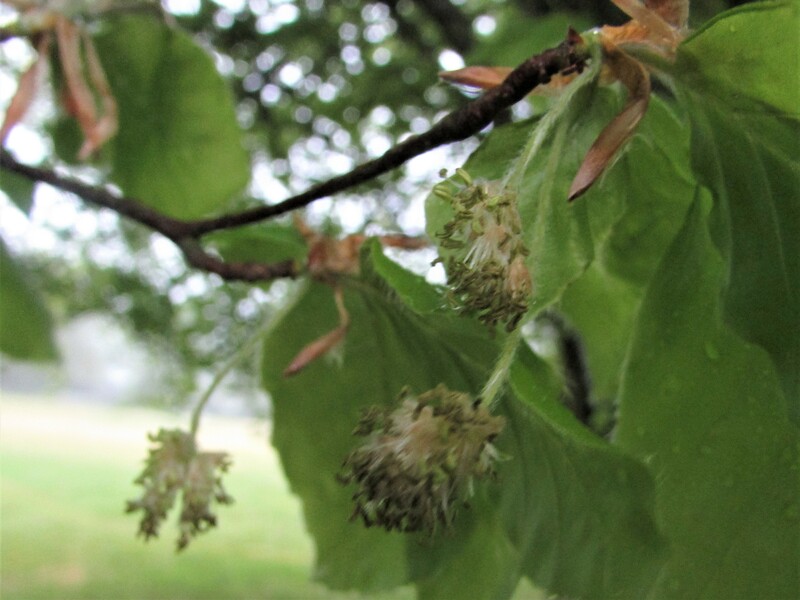 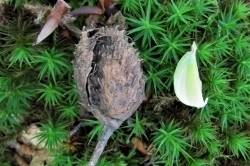 The female has small yellow/green flowers in spring which develop into green, spiky oval ‘fruits’ which split in the Autumn to release Beech nuts or masts as they can be called. 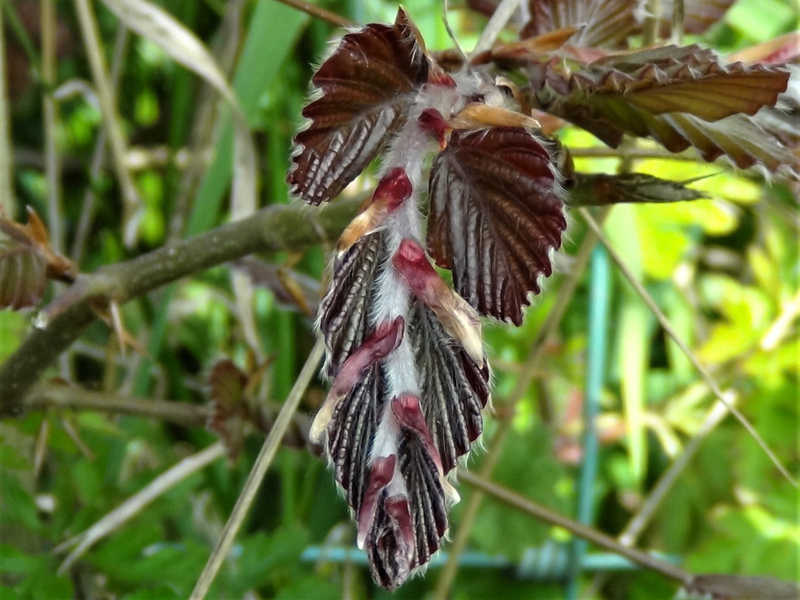 The male flowers hang in ‘catkins’ just after the leaves have opened. 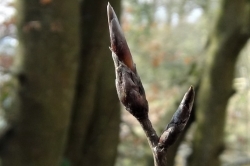 The leaf buds can be seen in Spring. 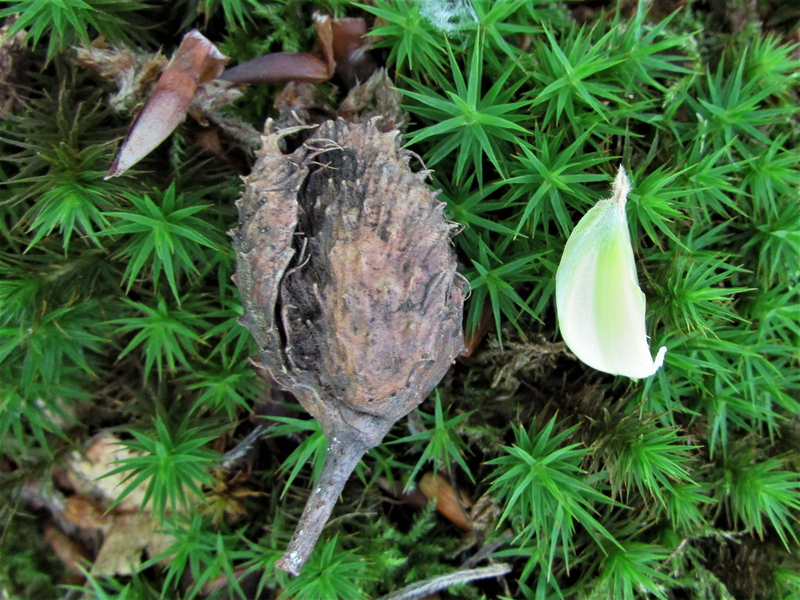 The green spiny cases turn brown later in the year and in some Autumns produce nuts large enough to bother collecting. 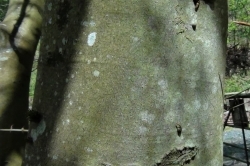 The trunk has smooth grey bark that can develop ridges with age and can grow to a large circumference. 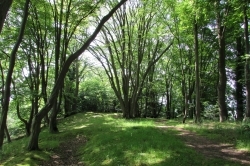 Fields, hedgerows, woodland, avenues, parks and anywhere well drained. 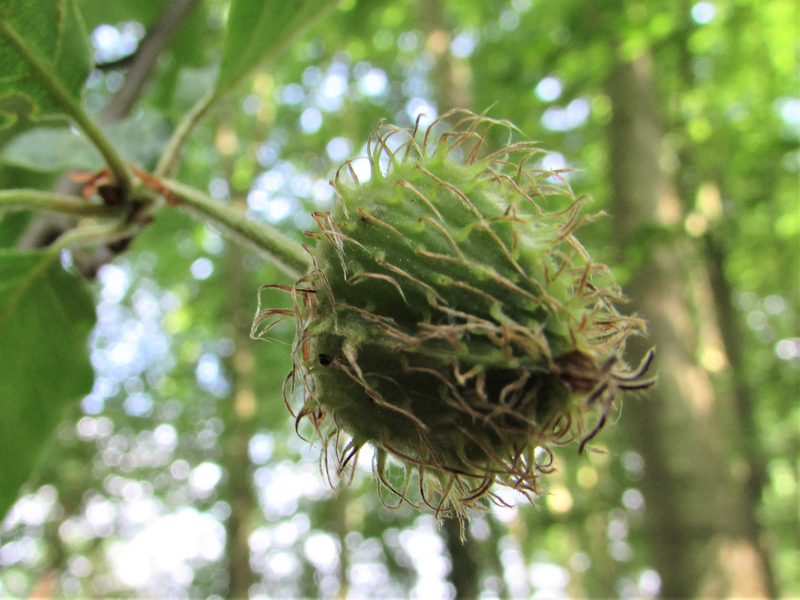 The young leaves have a pleasant citrus/salad taste and the nuts are a tasty if energy inefficient snack. The young translucent leaves can be used as a good salad green in Spring. 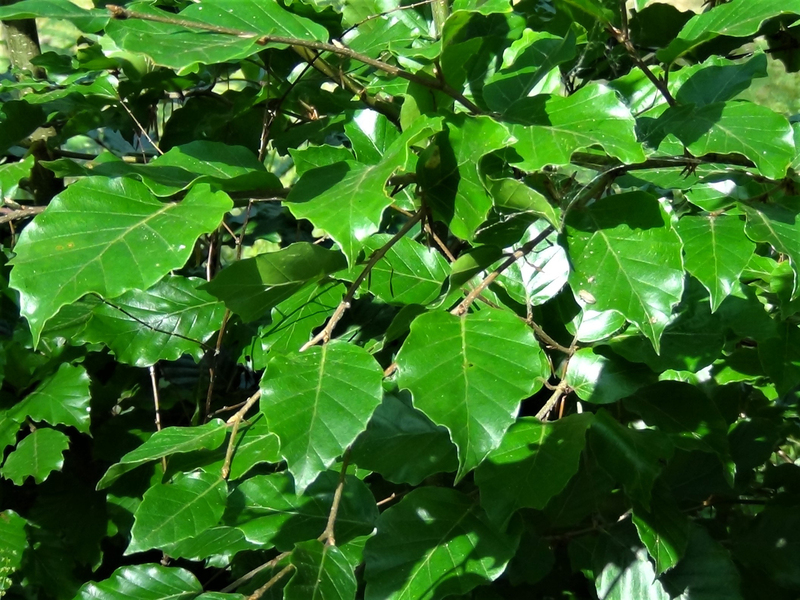 Has been used in the past to treat skin disorders. 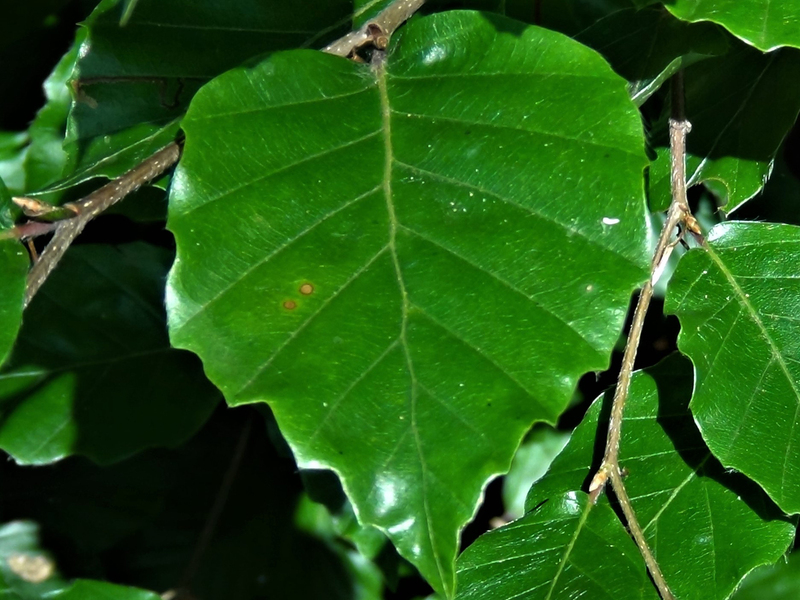 The tar that can extracted from the wood can be used as an antiseptic. 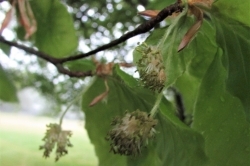 Beeches are monoecious, having both female and male flowers on the same tree. 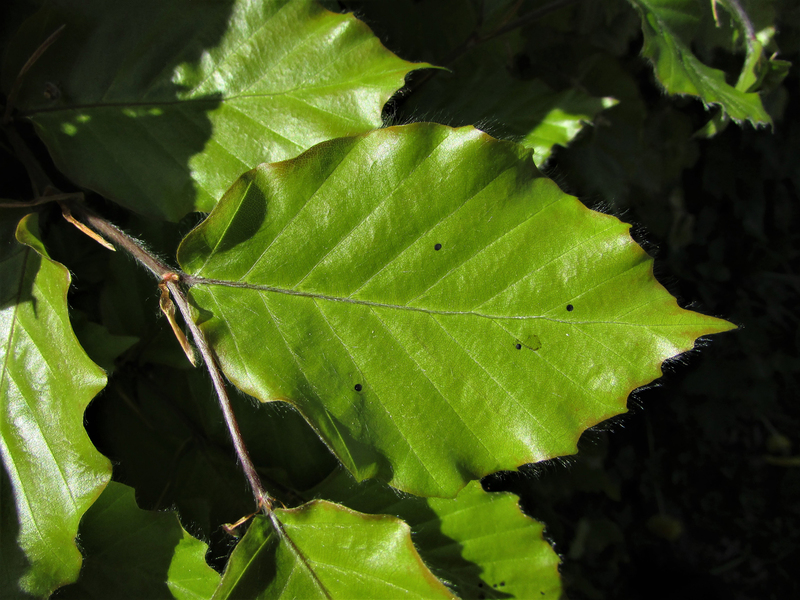 The Beech tree has the most micorrhizal relationships of UK trees and is therefore one of the best trees to find mushrooms under in Autumn. 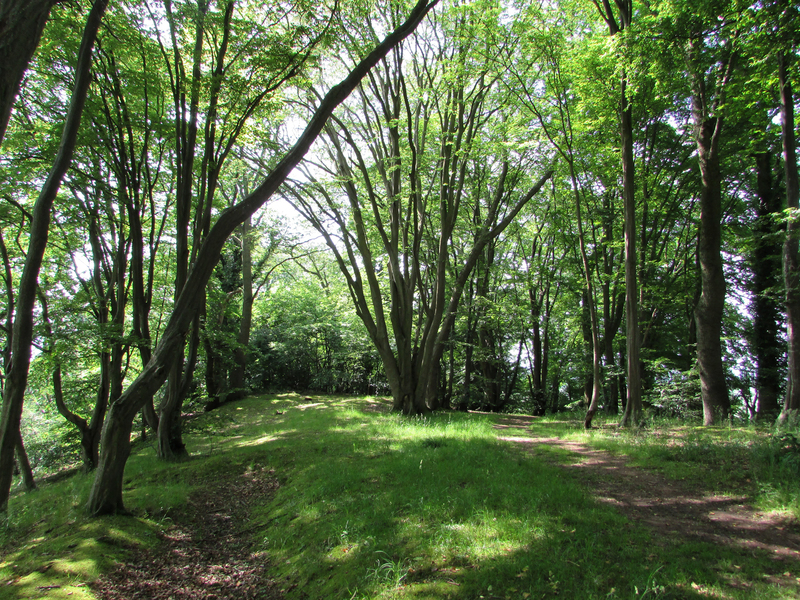 The dense canopy and fallen leaves mean that under a Beech none but the hardiest of shade plants can grow. 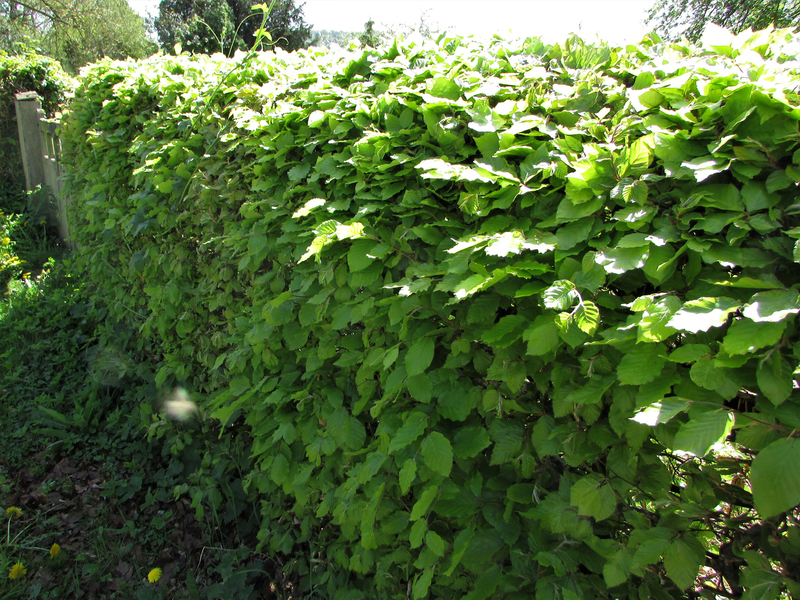 Beech can make a good hedge as it keeps a lot of leaves over winter. 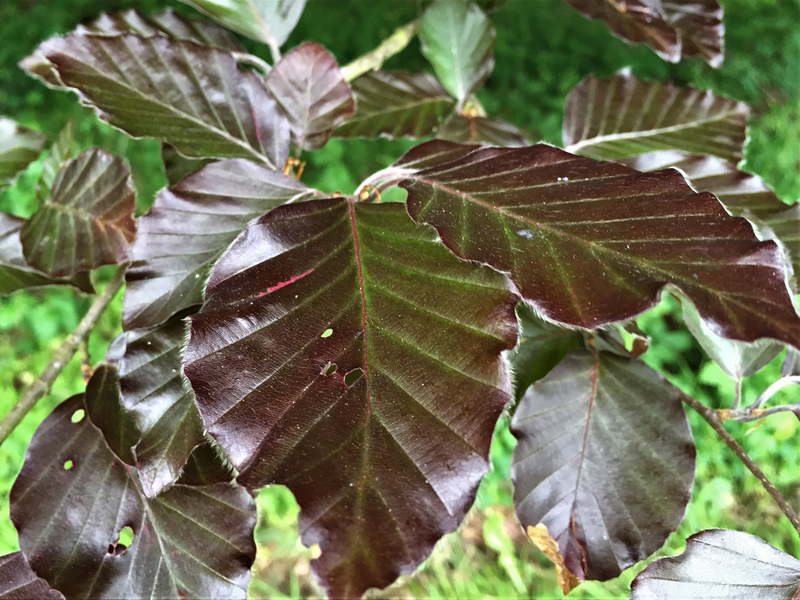 One of our favorite things to do with a Beech tree is make Beech leaf noyau, a lovely and easily made liqueur. 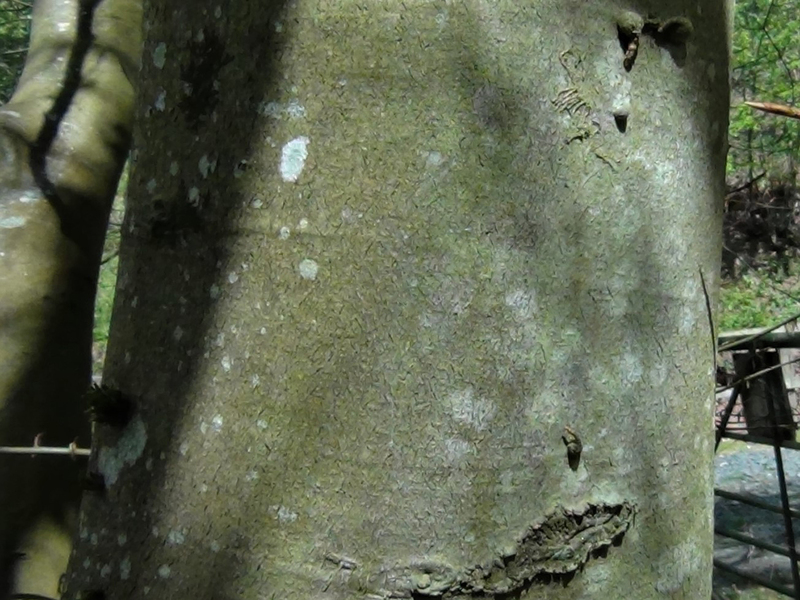 Beech makes a great wood for fires as it is easily split and burns slowly. 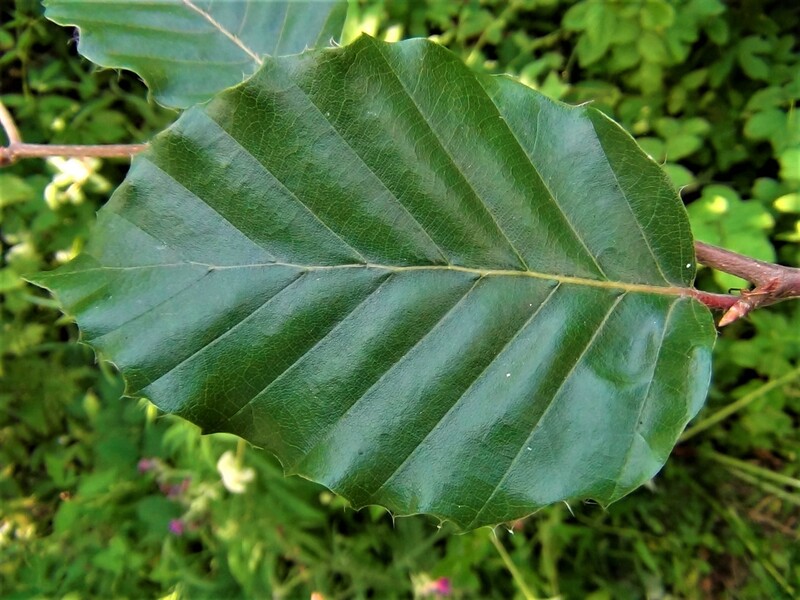 There is enough fat in beech mast to be worth extracting and it makes a good oil.